Years ago, when I was still in college, someone gave me a copy of the Silver Palate cookbook. I remember many of the recipes being over the top, both for my palate and budget at the time, and come to think of it, my cooking skill as well, but I still loved this book. What I really loved, was this easy carrot cake recipe. Carrot Cake with Pineapple and Coconut? Yes! Carrot cake had always been my favorite, and this recipe? Who ever heard of putting coconut AND pineapple in a carrot cake? Twenty-five years ago, no one I knew, but the combination was fantastic. Of course, we’ve made changes over the years to that original carrot cake recipe, and now I can say the recipe that follows truly is the best carrot cake recipe. The original recipe called for three cups of sugar (too much even for me) and for cooking the carrots first (not necessary in my opinion). Sometimes I added raisins or left out the nuts, but always included the coconut and pineapple. Not a fan of pineapple and coconut? That’s ok! You can leave them out and the cake will turn out just fine. My father has made this carrot cake for my birthday countless times, even driving hours to deliver it when I lived in Palo Alto or San Francisco. Today we made this carrot cake together (that frosting job is mine, thank you) and the cake even survived a “D’oh!” moment when three minutes after it went in the oven dad realized he had forgotten to add the coconut. After the requisite howls of exasperation, the carrot cakes came out of the oven, batter back into the mixing bowl, coconut added, batter back in the pans, and pans back in the oven. No harm no foul. Cake lived, beautifully, I might add. Love Carrot Cake? Check out these recipes! Updated April 11, 2019 : We spiffed up this post to make it sparkle! No changes to the original recipe. Not a fan of pineapple and coconut? That's ok! You can leave them out and the cake will turn out just fine. 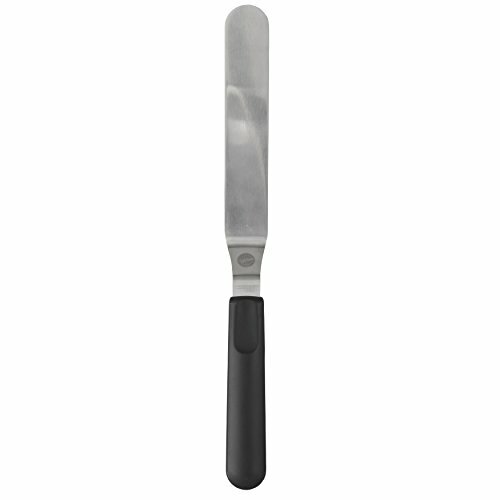 1 Preheat oven and prepare cake pans: Preheat oven to 350°F. 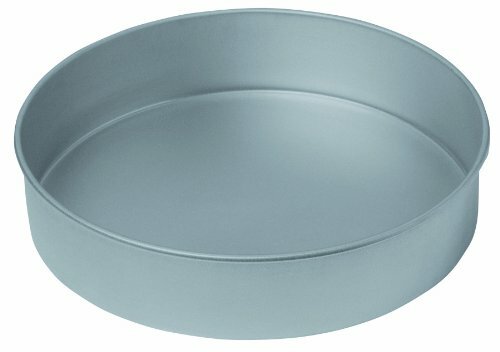 Butter two 9-inch cake pans. Cut out rounds of parchment paper and place at bottoms of cake pans. Butter the top of the wax paper rounds. 2 Make carrot cake batter: Sift dry ingredients into a bowl. Add oil, eggs, and vanilla. Beat well. Fold in chopped walnuts, coconut, carrots and pineapple. 3 Bake: Pour batter into pans. 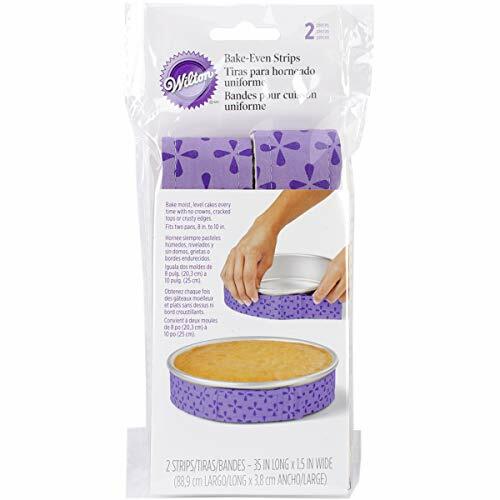 Set on the middle rack of oven and bake at 350°F for 45-50 minutes (shift positions of cakes front-to-back if necessary about halfway through), until edges have pulled away from sides and a toothpick or sharp knife tip inserted into the center of the cake comes out clean. 4 Cool completely on a wire cooling rack. 5 Make cream cheese frosting: In a stand mixer with a paddle attachment or using hand mixers, beat together the cream cheese and butter. Slowly sift in the powdered sugar and beat until mixture is free of lumps. Stir in vanilla and lemon juice. 5 Frost and decorate the cake: Once cakes have cooled, remove from the pans and frost. Sprinkle top with chopped walnuts or arrange walnut halves in a crown around the top. Hello! All photos and content are copyright protected. Please do not use our photos without prior written permission. If you wish to republish this recipe, please rewrite the recipe in your own unique words and link back to Carrot Cake on Simply Recipes. Thank you! Excellent cake — it was a huge hit for Easter dinner. I made it in a Bundt pan — no changes in the recipe. It probably took 55 minutes to bake (I checked it at 45 minutes and baked it a while longer). Made 2/3 of the frosting recipe (i.e., the same amount as in the original recipe) and that seemed to be more than enough. Can I bake the cake in a pyrex glass dish? Do I need to change the temperature or duration? I have made this many times,, sometimes as a whole cake, other times baked as cupcakes or in loaf tins. One thing always remains constant – the best tasting carrot cake ever! I am not even a fan of carrot cake, but became a convert after I made this. Thank you VERY much Elise! I’m so glad you like it Aileen! This is the BEST carrot cake recipe out there!! I’ve been making this exact recipe for over 20 yrs and gotten rave reviews!! You’ll never want to eat another carrot!! Hi Ann Marie! That’s so funny….. not wanting to eat another carrot. Glad you like it. Carrot cake is my favorite! Can this be made without the pineapple and coconut? Hi, Bethany! Yes, I believe you can leave out the pineapple and coconut and be just fine. Enjoy! I’m going to make this, I just would like to know how to take out the coconut? Add more carrot? More nuts? More pineapple? Hi, Nicole! I’d just leave it out. Your cake might end up a little more dense and moist, but I think it should still be just fine. Adding more nuts would also be fine, but avoid adding more carrots or pineapple as that would throw off the moisture content in the cake. Enjoy! This was a yummy recipe but I have a confession to make. I couldn’t bring myself to use olive oil, subbed canola oil instead. Also only iced the top and middle of the cake. I’m a light weight where rich icing is concerned and everyone still loved it! Hi, Shanta! Unfortunately, I think that the moisture of fresh coconut would throw off this recipe quite a bit, so I’m not sure I can suggest a good substitution. Sorry! Love this recipe! Decided to try making it as cupcakes this time for easier transport to my dad’s birthday celebration. They turned out great and he was thrilled to have his favorite carrot cake! : ) For anyone else who wants to try this, they took about 25 minutes (so maybe start checking at 20 mins). I also followed the suggestion from an earlier comment and used lemon zest (1/4 to 1/2 tsp) instead of the lemon juice. Tasted wonderful and kept the frosting from getting too “slippery” at room temperature. Thanks for yet another favorite recipe, Elise! I don’t know if I had imagined it, but I thought I read that you could substitute grapeseed oil for the olive oil somewhere. Anyway, I wanted to ask how you frosted the cake. It looks beautiful and I’d like to try doing the same! Best carrot cake recipe! I’ve made it so many times…and it always amazes us !! I made this cake for Easter and forgot to add the carrots. Since it was also April Fools Day, I called it an intentional prank. :) OMG this/these was/were FANTASTIC!!!! Even without the carrots! I halved the recipe, mixed it by hand, (no mixer needed) and made cupcakes out of it. I used the cream cheese frosting from the carrot cake cupcake recipe on this site and it was absolutely perfect. 1/2 c butter, 8oz. cream cheese & 1 cup confectioners sugar! Everyone raved about these and the leftovers were just as good the next day! The cake tastes much better when you use vegetable oil as opposed to olive oil. Hi Elise! This carrot cake is Amazing!! I’ve made this recipe many times and always receive tons of compliments. I would like to make it for a friend that is gluten-free and I was wondering if you had a gluten-free version? Hi Jocelyn, I do not, though I’m guessing it would work fine with Bob’s Red Mill gluten-free flour. If you do a test, please let us know how it works out for you! Hi Karen, thanks so much for your kind words! I’ve never shipped a cake like this before. A fruitcake, yes, but not a frosted cake. If I absolutely had to get this cake to someone, I would ship it overnight, and put a lot of those freezer bags (the ones that you ship with frozen foods) around it. Hi Elise! I’ve tried this several times and I love how it tastes! The only thing I have problem with is that the cake is not easy to cut. It tends to get crumbly so I can’t get a perfect slice. Any guess on why this happen? Any suggestion? Thanks, Elise! Hi Eve, yep, carrot cakes can be hard to cut. I would try chilling the cakes before assembling and frosting them, and then using a serrated knife to slice. AH HA! A carrot cake that uses pineapple. I don’t know the history of carrot cake, I thought pineapple was as standard as the carrots themselves but I found many recipes where it was omitted! I’m eager to make this as a wonderful fall dessert! I enjoyed a good laugh over you & your Dad adding an ingredient after the cake was already in the oven!! I’ve done THAT before!! As many have commented – this cake is very forgiving. I made it, as directed by recipe with the following modifications: 1) left out the nuts 2) substituted 1 cup of fine petite dice apple that I microwaved for a minute or so in place of the pineapple 3) added a little nutmeg and 4) made 1.5 x the frosting. I am not at all a huge frosting fan, but I don’t see 1x frosting giving coverage to the cake. Turned out gorgeous! So moist. Lovely flavor, Texture from the coconut makes it so special. Wouldn’t describe it as easy to cut – but the fantastic flavor makes you say, “who cares!” Next time I’ll use the pineapple – I bet the addition of flavor is fantastic. Hi Carol, thank you for your comment! So many people have mentioned the frosting that I’ve gone ahead and upped the quantities by 50%. So hopefully that will do the trick for folks! Thanks Elise! I make this every Easter – probably since you first posted the recipe – and I THOUGHT it looked a little different than before! I love this recipe. I’ve made it as a cake a few times. Today I decided to change it up by making it vegan and in cupcakes, and it turned out just as delicious as the standard cake recipe. Here are my vegan substitutes: Instead of 3 eggs in the cake, I mixed 3 Tbls ground flax seed with 9 tbls water, mixed and let it sit for 10 minutes. For the frosting, I used vegan cream cheese and vegan butter substitute. Taste was great but consistency was thin, so I am letting it get more solid in the fridge. They taste great without frosting too! Hi Judy, what a great idea to make it vegan! So glad the substitutions worked for you. Thanks for letting us know!